With just hours to go for Christmas, Vijayawada and Guntur are ready to celebrate the festival in a grand way. 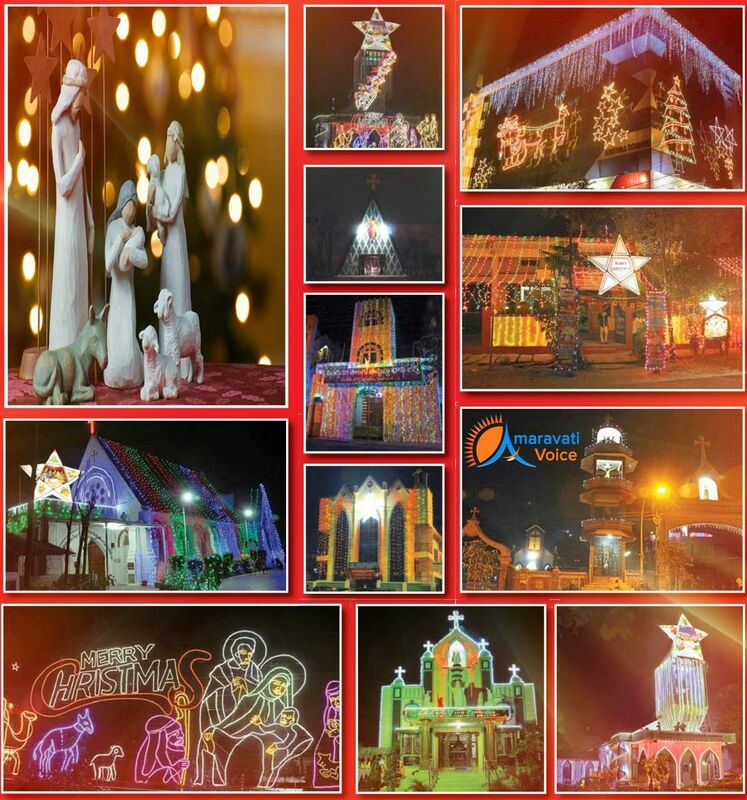 All the churches are illuminated and decorated for the festival. Churches are busy in making the final arrangements for the festival. The churches are decorated with balloons, Christmas trees, stars, flags etc.. Special prayers and songs are planned tonight and tomorrow.